The plan included replacing turf with native plantings, installing furniture made from reclaimed timber, improving accessibility and activating the space, done by adding a concrete Ping-Pong table. IT SEEMS A special achievement for an urban pocket park, bounded on all sides by busy streets, to be certified as the world’s first “living park.” McGilvra Place, at Madison and Pike streets on Capitol Hill, adjacent to the Bullitt Foundation building, brings a little wildness and shelter into one of the most densely populated areas of Seattle. So what is a “living park”? The requirements are rigorous, and the program administered by the International Living Future Institute. McGilvra Place, with its palette of all-native plants, stood up to the Living Building Challenge, which can be applied to both parks and buildings. 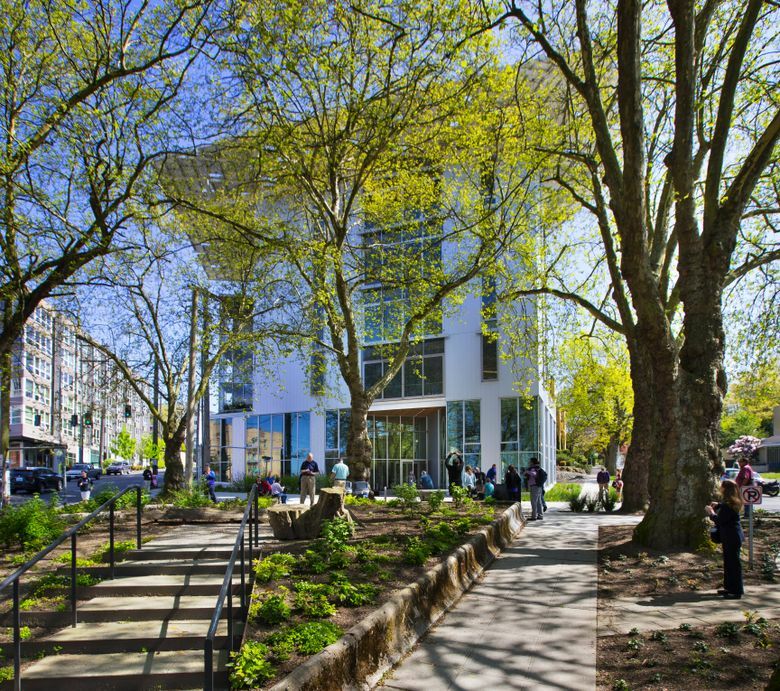 The transformation from a bleak, underutilized space to bustling community park was undertaken by a public/private collaboration between Seattle’s Parks and Recreation, Transportation and Public Utilities departments, the Seattle Parks Foundation and the Bullitt Foundation. A neighborhood group stepped up to secure funding from the city. The design team was Jonathan Morley and Rachael Meyer from the Berger Partnership, who were tasked with creating an inviting public plaza beneath 11 century-old sycamore trees with compacted root systems. 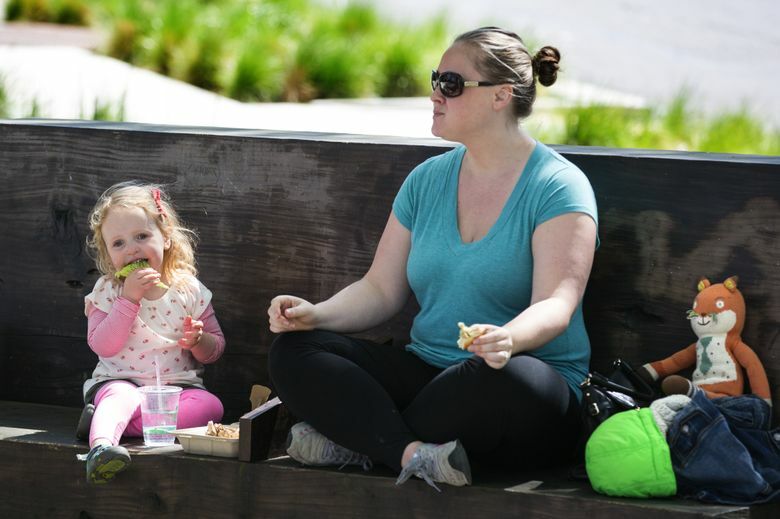 The plan for the park included replacing turf with native plantings, installing furniture made from reclaimed timber, improving accessibility and activating the space, which they did by adding a concrete Ping-Pong table. Rather than digging down, in some areas the soil level was lifted up to give the roots more room to grow and breathe. Remnants of the site’s traffic meridian history remain in the old, moss-encrusted curbs that delineate the park’s edges. But now, wooden benches and plenty of pathways invite you to amble through, pause for a snack or just enjoy the leafy shade. The materials are rugged, chosen to stand up to the urban environment. Raised beds are edged in steel, walkways are concrete and gravel, benches are burl-like and the Ping-Pong table is concrete with an indestructible metal “net.” The native plants, including Oregon grape, sword fern, salal, snowberries and vancouveria, are struggling to take hold in the shade of the sycamores. The Living Building Challenge is unique in that it takes into consideration how the park is built and how it fares in the year after completion. For McGilvra Place, this meant that concrete was poured into recycled forms, the contractor marked areas with string rather than paint, and even the metal stakes that held up the netting during construction were reused from prior projects. The materials were kept in their raw forms to avoid chemicals. Ongoing maintenance is also part of the “living park” designation, meaning the plants receive no supplemental water, and the park is swept with brooms rather than cleaned up with gas-powered blowers.